Normally, it takes a period of time to process an order and ship the package to the buyers, though, the Magento 2 default checkout system only requires basic information and customers do not know when is the exact time they will receive their order. So, the package may be delivered on a unexpected day that customers are not available to receive the order. This wastes time of both suppliers and customers. With the Delivery Date and Time extension from Mage-World, the problem can be solved completely! You can permit your customers to specify the expected delivery date and time, they even can comment on the order for additional notes. This extension is totally covenient for your customers. 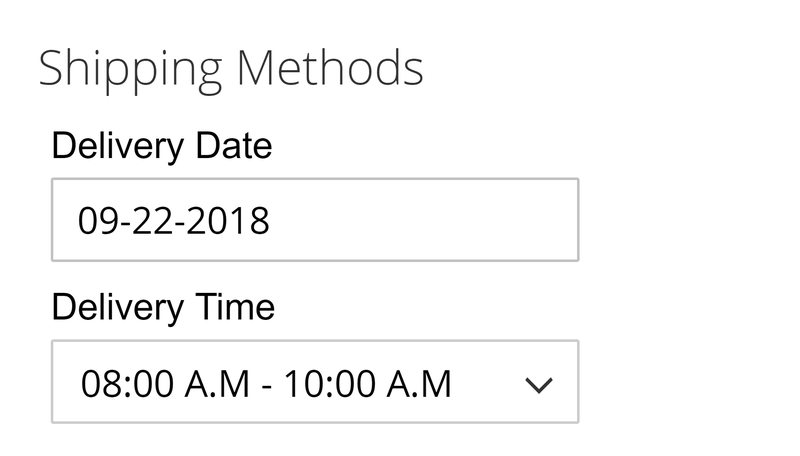 Instead of depending on the delivery schedule from the suppliers, customers can set their preferred date and time when checking out the order. Then store owners receive the order, they will see the requirements about delivery date and time so they can manage to deliver customers' packages on time. With this feature, customers can arrange their time easily and take initiative to receive the package. 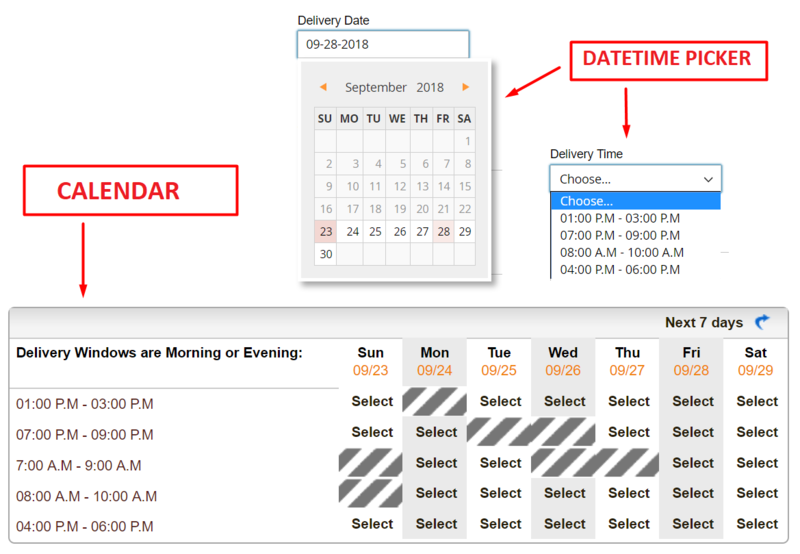 - Calendar: Both delivery date and time range are shown on the same board and customers can choose their favorite time as expectation. - Datetime Picker: Delievery date and time are divided into two fields separately. Customers will choose the delivery date first then select a time range. Normally, customers have to spend all the day to wait for their package to be delivered to their door. 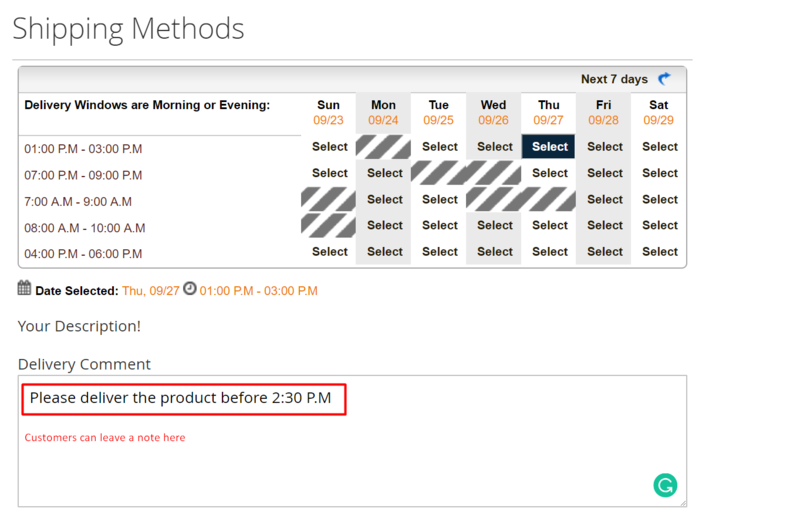 The Magento 2 Advanced Delivery Schedule extension let the store owners create different delivery time ranges so customers are able to choose the most suitable one for their timetable. This feature is a solution for the customers that avoids irritating experiences. 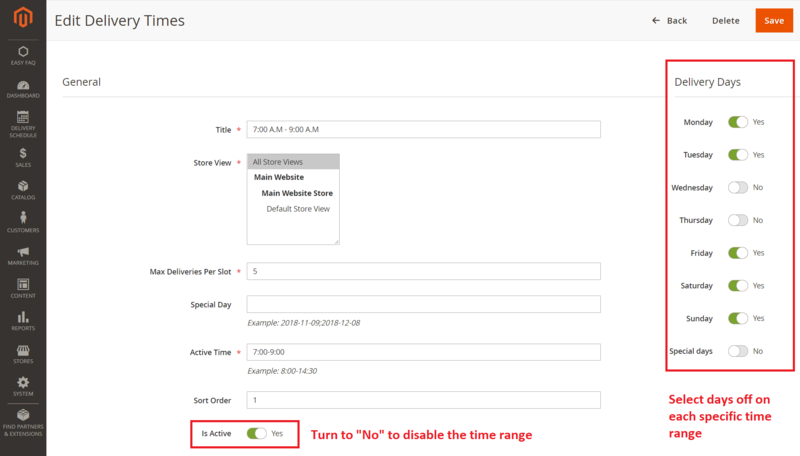 The Advanced Delivery Schedule extension allows web owners to disable time ranges on particular days. Customers will not able to select those have been disabled by the administrators. This feature ensures the quality of the delivery service, avoids late delivering due to rush hours or order overload. The feature lets customers leave a comment on their order for specific requirements or detailed information. They can express more data about address, house security code or additional phone number in case the delivery man can not contact them. This is a bright point of the extension that helps store owners to understand customers' demand better. If you have a dev site, please install on it to test first. If you don't have a dev site, please backup source code and database of live site before installation. A ftp client software: Filezilla, Winscp. Step 1: Download source code from MageWorld. After you complete your order, please go to My Downloads to download extension. Step 2: Unzip extension package and upload them to Magento root folde. Unzip file that you've just downloaded and use FileZilla (WinSCP) to upload to Magento root folde. Step3: Run setting up command line.